Your Rug Isn’t Ruined—Grab the Elbow Grease! Rugs are expensive! 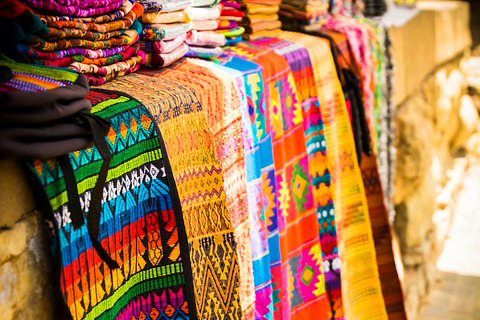 Whether it’s a beautiful hand-woven rug from a small business in town or a rug you shipped from China while on vacation because you just had to have it, you don’t want to throw it away and buy a new one in the face of a damaging disaster. You want to get your old one cleaned to make it look and feel new again! But don’t try to restore the rug on your own. You may end up doing more damage than good. The staff at Royal Renovations are happy to serve as your carpet and rug cleaning experts and consultants. Does your rug have damage by fire, water, or mold? Royal Renovations can handle it! They take care of the process from start to finish, so you don’t have to worry about sending it to several different businesses. The size of the rug doesn’t matter, either. From area rugs to a rug that sits under your bed, your flooring will be restored to as good as new after your disaster. Royal Renovations works with residential clients and commercial properties, so it doesn’t matter if your rug at home or work needs a little love—they’ve got you covered. Depending on the extent of the damage, sometimes cleaning can be done in your home or office. The first step is to assess damage in a pre-cleaning inspection and decide what restoration methods to employ. Experts will take a look at the construction of the rug and fringe (including coloring and design), point out any permanent stains, and address new damage and concerns (such as burns, odor, sunlight damage, rips/holes, wear, yellowing, and pet urine damage). Your rug will be cleaned with a commercial vacuum cleaner and pre-spot treated. Would you believe that one rug can hold pounds of soil without even looking dirty? Then, pre-conditioning products are applied, and the rug is pre-groomed. The products are rinsed away during a surface cleaning or full immersion wash depending on the extent of the damage. No residue or extra moisture is left behind. Any spots that remain after this process will be spot treated. Rugs then usually receive fabric protection before they are dried. The rug and fringe are groomed again before a post-cleaning inspection to ensure your rug looks restored to its pre-disaster condition—or better! If rugs were cleaned offsite, they are rolled, wrapped, and secured to protect them from new damage. Quality control is crucial, and Royal Renovations will treat your home, business, or personal belongings with the utmost care, ensuring your rugs are restored to pre-loss condition. When tragedy strikes, we’re here to fix your home.